The beauty of being in an interfaith marriage is that we get to share in both of our religions and family traditions. Although I'm not Christian, Christmas is a magical time to share with my family, seeing the joy and excitement in my kids eyes. For my wife, it's a time to celebrate her faith and for us sharing in that celebration brings us closer. 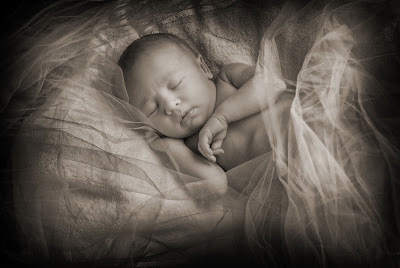 Over the last few weeks, I've had the pleasure of being able to photograph several newborn babies. The miracle of birth is incredible any time of year, but it holds even more significance this time of year. To share not only in the birth of a child, but the birth of a new family is amazing. It is the ultimate gift. Whatever your faith may be, have a Merry Christmas, and enjoy the magic this time of year brings. Cyber Monday is cool, but let's make this for the entire month of December. Beginning November 30 and continuing through Christmas Day, we will be offering "Buy One, Get One Free" Gift Certificates or "Double Value" on one certificate. The gift certificates are for new sessions only and will be valid from January 1st, 2010 through April 30, 2010. The certificates are good toward sessions and product orders. After April 30, 2010 the certificates are still good, they are just at face value. 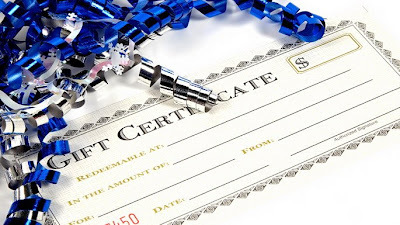 Call the studio at 585-393-9242 to purchase a certificate which comes tastefully wrapped for immediate giving. On Wednesday, Amanda and I photographed the wedding of Jillian and Jason at Belhurst Castle in Geneva. Normally a Wednesday wedding would be unheard of, but I actually got quite a few calls for this date since it was triple nines. Jillian and Jason had a great wedding, with only 10 people attending. It was very intimate and emotional as the tears flowed on the back lawn of Belhurst. We went down to the tracks and we were treated by a passing Norfolk and Southern freight train that stopped to pose for pictures. Congratulations Jillian and Jason. You guys are awesome. Last weekend Rich and I shot the wedding of Melissa and Steve at the Riverview in Hudson, Massachusetts. It's been a crazy week with high school seniors so I'm a little slow posting. Hurricane Bill was lurking off the New England coast, pumping up hot and insanely humid air, with torrential downpours that flooded the roads. After the rains stopped, we had a beautiful, sunny afternoon to take photos with Melissa's dad's motorcycle in Hudson. Melissa and Steve were great and so much fun to work with. Their sense of humor was awesome. I'm looking forward to doing a lot more weddings in New England with Rich. We'll be doing a bridal show in Marlborough, Massachusetts on September 13th. MK and I did the wedding of Christina and Don last Friday. We started the day at Belhurst and finished at Ventosa Vineyard with a fireworks display overlooking Seneca Lake. Christina's late father left behind a 1970s Lincoln that he restored, which was one of the focal points of the wedding. Christina's shoes matched the powder blue Lincoln which they used as their chariot for the day. Here are a few photos and a video of the day. My brother Rich turns 44 today. Happy Birthday Bro! I just experienced one of my all-time favorite weddings today. Some days everything just goes right. I had the privilege of working with John and Ally. They were so easy going, natural in front of the camera, good looking and the settings were awesome. We photographed at Salon Brio in Bushnell's Basin, then Chapel Hill for the ceremony and finally Artisan Works in Rochester for the reception. I also got to play with a new toy, an 85mm f1.8 lens for you camera geeks out there. John is a NYC editorial photographer, so he was able to appreciate what we do to create the images we do. I look forward to seeing some of his work soon. Ally is a fellow Long Islander but you wouldn't know from her accent, their love of the outdoors or their taste in Bluegrass music. They're off the Australia next week for their honeymoon. I'm so jealous.